10″ x 3″ x 4″ and only 2 lbs! 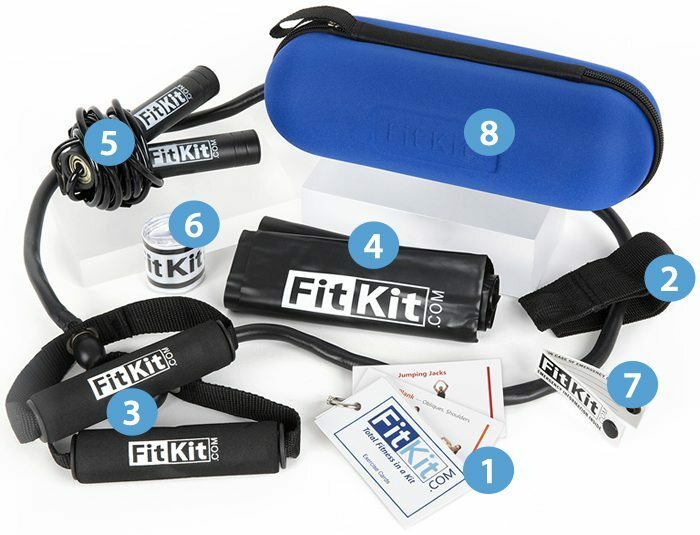 FitKit has all the tools for a total body workout and comes in a sleek, portable case. 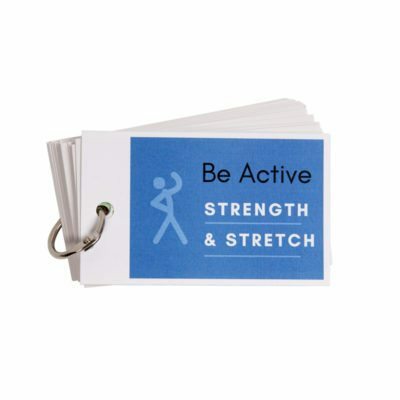 Included is a starter set of Exercise Cards with photos and instructions for strength, flexibility and cardio moves. 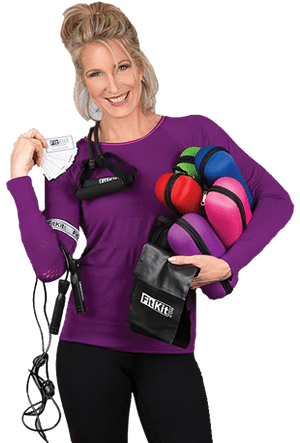 There are an additional 250+ exercises accessible online which fitness expert, Amie Hoff developed just for you. It’s like having Amie as your very own personal trainer. 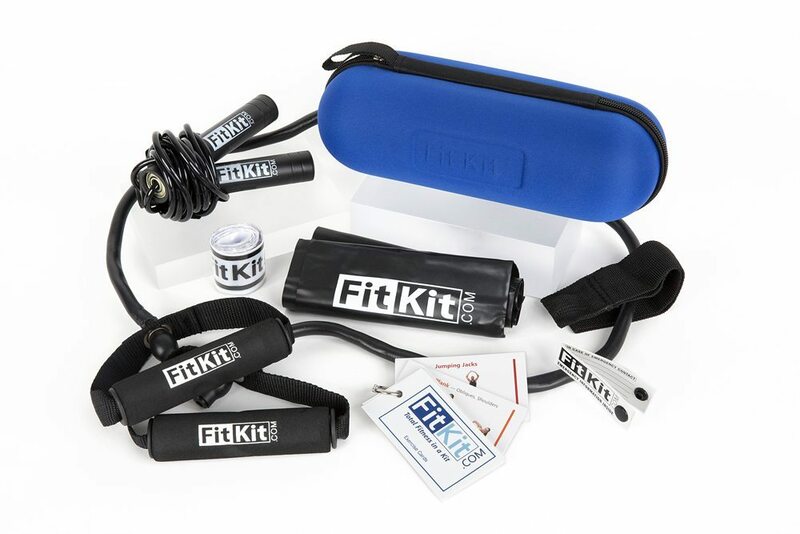 FitKit is your anytime, anywhere fitness solution! See below for descriptions of the included tools. Volume Pricing Available – Click Here to learn more. 1. 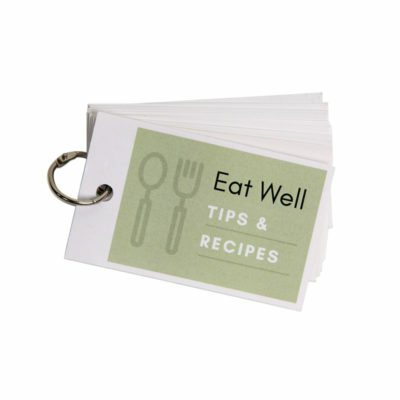 Exercise Cards – Exercise cards with photos and instructions to get you started on your way to reach your goals! 2. Door Anchor – To use with the tubing with handles, attaches to any door to expand your exercise options. 3. Tubing with Handles – Resistance Tube with Cushioned handles. Can be adjusted to increase/decrease resistance. 4. 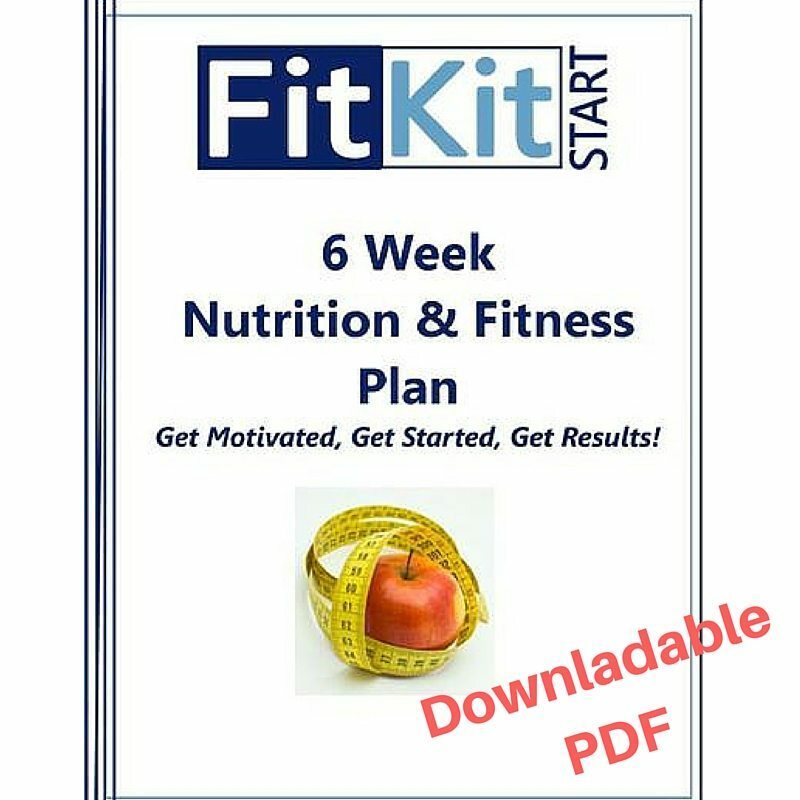 Flat Resistance Band – A 4 ft. long flat rubber band to use for a variety of the included exercises. Medium resistance. 5. 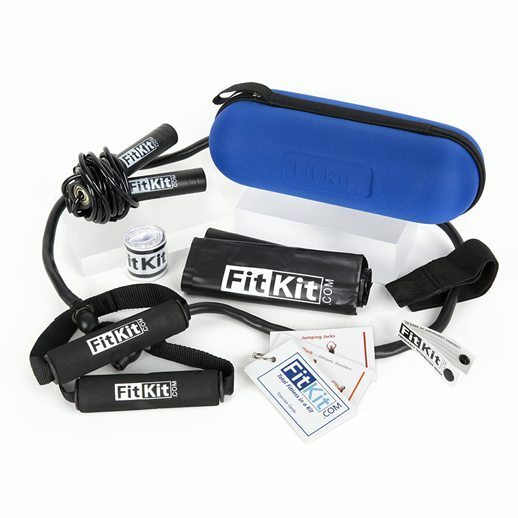 Jump Rope – With contoured hand grips, barring handles and PVC rope. 6. Reflective Arm Band – Exercise outside safely! Reflects under headlights or street lights. 7. ID Tag – Worn on the Shoe – Emergency ID tag provides personal, emergency contact and medical information. Simply thread through your laces and snap close. 8. 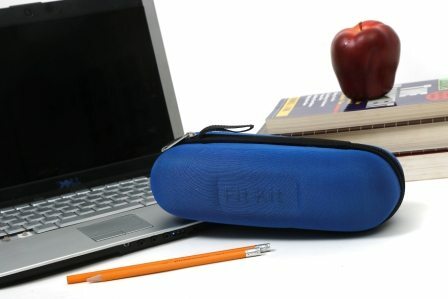 Neoprene Case – Store all your fitness and safety tools in this durable, compact and portable case. Only 10” x 4”.